The Beef ‘O’ Brady’s and The Brass Tap casual-dining chains have been sold by Levine Leichtman Capital Partners to CapitalSpring Partners, a New York City-based concern that specializes in the retaurant business. Terms were not disclosed. The buyer describes itself as “solely focused on the branded restaurant sector.” The firm says it has invested $1 billion in restaurant properties since its founding in 2005, and its dealings extend to restaurants operating under 45 brandnames. Included are franchises of Taco Bell, Hardee’s, McAlister’s and Popeyes. It has also been involved with such brands as Luna Grill and Norms Restaurants. The company’s principals are identified as Christopher Unrath and Richard Fitzgerald, both of New York City. Levine Leichtman has owned Beef ‘O’ Brady’s and The Brass Tap’s parent company, Family Sports Concepts, since at least 2007, when money owned to the private-equity company was repaid in the form of debt as part of FSC’s refinancing. 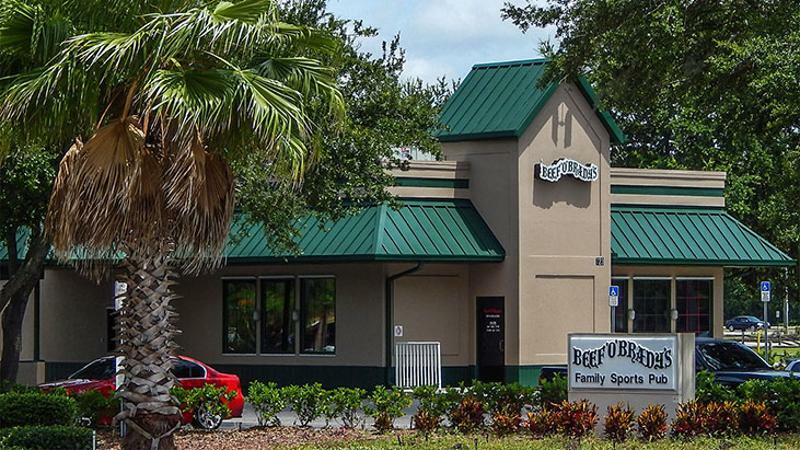 Beef ‘O’ Brady’s extends to 186 locations, and The Brass Tap has 41 locations. Both are full-service operations. Beef ‘O’ Brady’s is targeted at families, with Irish touches, while The Brass Tap specializes in craft beers and scratch-cooked food.